Easter can be one of the most rewarding times of the year for candy lovers. 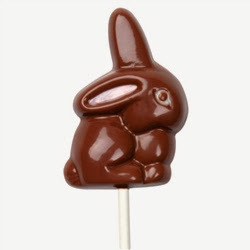 From chocolate bunnies to assorted sugary sweets, there’s candy everywhere around this holiday. Unfortunately, however, if you have food allergies or would like to avoid specific ingredients — including those ones you can’t pronounce — store-bought candy often isn’t an option. Although it requires a little more effort, homemade Easter candy offers many more benefits than the kind you see at the store! In addition to giving you the freedom to choose your own ingredients, making your own Easter candy is fun and a great opportunity to bond with family and friends. Choose the perfect Easter candy molds. There are so many choices of candy molds available for Easter, it’s impossible to choose just one. Whether you want crosses, bunnies or other spring-time symbols, you’re sure to find at least a few fun candy molds to experiment with this holiday. Find your favorite chocolate and other ingredients. Everyone has their favorite type of chocolate — some people like creamy milk or white chocolate, while others enjoy the full flavor of dark chocolate — and you can create your candy with your favorite chocolate as a base. Consider adding other ingredients as well, such as nuts, caramel or peanut butter, to make this candy all yours. Prepare your ingredients. If your chocolate requires tempering, check out our blog post for instructions for tempering chocolate. Additionally, other ingredients might require some prep work, such as chopping nuts or melting caramel. Fill your candy molds and let them set. Once all of your ingredients are ready to go, fill your candy molds and allow the candy to set. Decorate your homemade Easter candy. One of the best benefits of making your own Easter candy is that you get to turn the candy into a work of art. Use a candy writer to decorate your chocolate with fun colors, or try adding some edible glitter or sprinkles. Have you made your own Easter candy before? What is your favorite part? Let us know in the comments!